Westbury's Post Avenue bridge replacement. This could be its own topic but it also involves a provision for the third track. The MTA/LIRR has approved a $9.7 m contract to "Design & Build" a replacement of the Post Avenue bridge. It will have 14ft clearance (from 11 ft 10 inches). The RR will be closed in October 2017 for the replacement. Makes sense due to height of old structure and third track addition. The Amtrak project makes sense if it could be done but wouldn't just high speeding the existing LIRR tracks make more sense along with the third track? No real curves and the crossing eliminations would be in place anyways as per the mainline third track project. Adamj023, I believe the LIRR already has an 80mph speed limit on most (if not all) of the route from Floral Park to Hicksville, where the third track will be built. 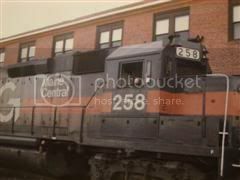 You gotta ride an eastbound express thru Mineola to appreciate it! If anyone knows different, please correct me. Head-End there is nothing more euphoric as going 80 MPH down those 9-10 miles of STRAIGHT track with the engineer putting on the high beams and blowing that horn which means GET OUT OF THE/MY WAY! I've experienced that too many times as a kid and adult. Speaking of adding a track, I know another location where a train will go 80 MPH because it is straight track. If you are on board of a train to/from Ronkonkoma and the train skips Wyandanch and Pinelawn, that is one heck of an experience. "This station is DEER PARK/FARMINGDALE, this is the train to PENN STATION/RONKONKOMA, the next station is FARMINGDALE/DEER PARK." Head-end View wrote: Adamj023, I believe the LIRR already has an 80mph speed limit on most (if not all) of the route from Floral Park to Hicksville, where the third track will be built. You gotta ride an eastbound express thru Mineola to appreciate it! If anyone knows different, please correct me. The mainline project will be helpful in higher speed rail effort. But the M9 does not improve speeds over the M7. The mainline trains should be able to top out at 100mph after mainline project is completed since they can improve the infrastructure to make it go 100Mph along with the project. For Amtrak considering the pie in the sky LI NEC bypass to Penn. must be observed as provided in the Track Safety Standards. I doubt LIRR wants to incur the additional costs of 100mph operation and the upgrades required in track, nor the additional build costs for the next gen EMU, if that's how they go. I don't believe the incremental time savings benefit really works in their favor especially close-in to Jamaica/Penn. And frankly, I don't see Amtrak and LIRR ever sharing tracks on a right of way that goes through downtowns and built up areas, where Amtrak is not going to stop. If they do something like this, it's going to have to be on a viaduct in a median on the LIRR. Back OT, the DEIS says that the 3rd track will only add 1 peak direction train per AM/PM. ESA is projected to add 8 trains by 2040, but ridership growth is projected to outstrip capacity growth. Are there any detailed plans showing what improvements they looked at between Queens Village and Floral Park, about 1.7 miles but ultimately decided against? This is from the 1/5/16 Newsday article. "By using an existing track on the Hempstead branch near Queens Village, the new third track will also be shorter than previously proposed — 9.8 miles as opposed to 11.5." I'd like to see a diagram of this section like what was shown in DEIS for the track that is planned. After reviewing the track diagram on the DEIS, I saw several things that surprised me as this schematic significantly differs from the first one I saw in May. The primary difference being Mineola DOES NOT feature an island platform in this draft. Also, there are now planned switches just west of Bellrose Station allowing a westbound lateral move across all four tracks prior to where the current "Queens" Interlocking is located. One MAJOR concern (and IMHO fatal flaw) is how the junction ("Nassau Int.) that the Oyster Bay Branch uses to merge at Mineola is planned. The diagram shows that the current layout would be reconfigured for both tracks of the Oyster Bay Branch to merge with the Mainline via connections to only the westbound track. A new universal interlocking is shown, but it's located WEST of Mineola Station. This set up infers any Oyster Bay bound train that stops at Mineola station must board from Platform A, even if it doesn' have a scheduled stop, it has to pass through the station on the WB track, as the next set of crossovers (also a universal interlocking) are planned just east of where the branch breaks off. Any thoughts on how this configuration would even leave the drawing board? Seems like it potentially poses a significant operational constraint. on the center track,with Main st and Willis road changed to undergrade crossings. While it makes sense on paper to do it like that, I don't think you can have trains continually operating at 80mph over a double slip. 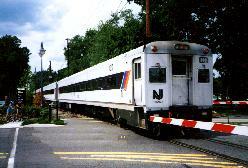 The railroad wants to terminate Oyster Bay trains at Mineola. Does everything make more sense now? Change at Mineola for New York. Oyster Bay becomes a shuttle and everything boards on the north platform. On the way home from New York, it's up and over to get back to Oyster Bay, same as Brooklyn riders will have to do up and over at Jamaica. Coming from Brooklyn to Oyster Bay? Two up and overs. While I never use the Oyster Bay branch, I'd not be too happy if I did. I do have to go to Brooklyn occasionally, however, and I will be unhappy about the shuttlization of the Atlantic branch. Don't see any place to put in a stub track to allow O B Shuttles to lay up near Mineola.